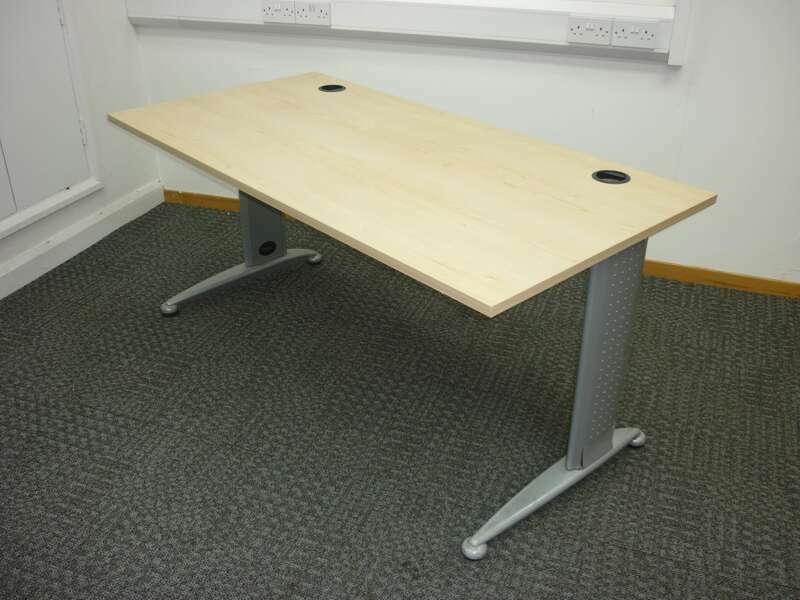 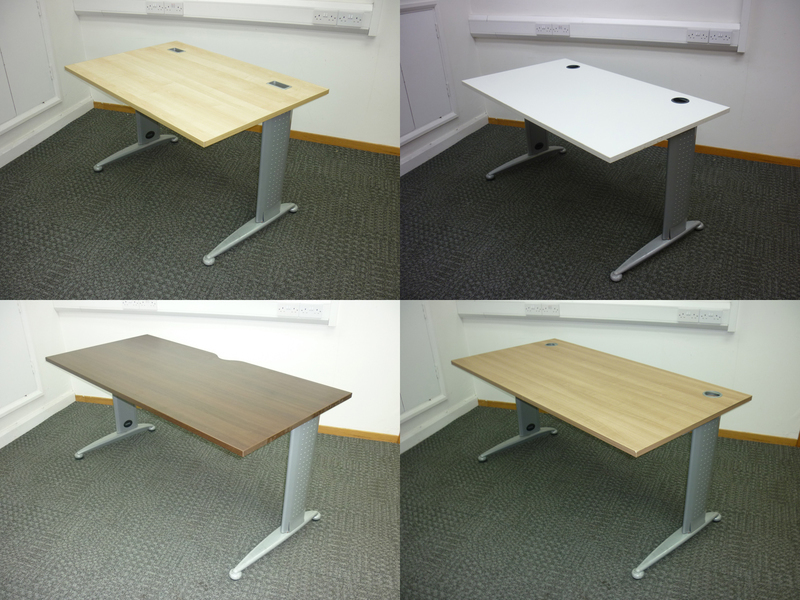 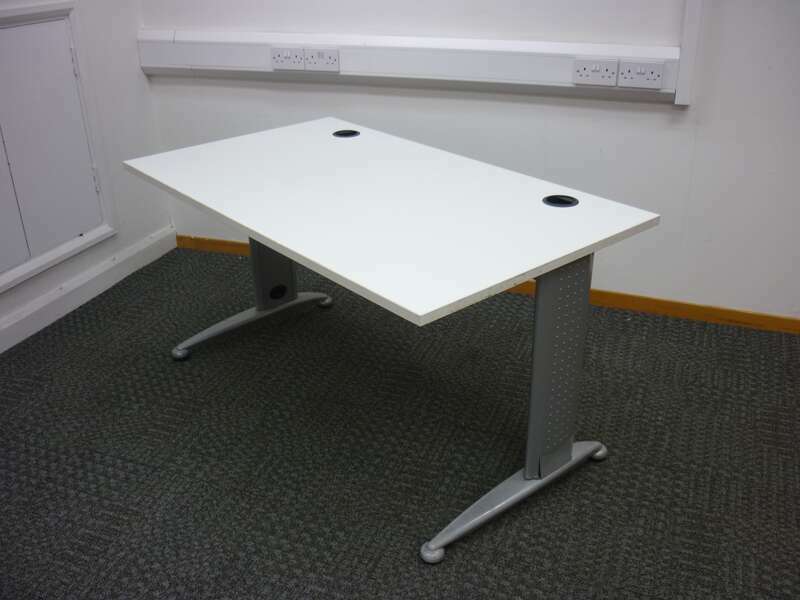 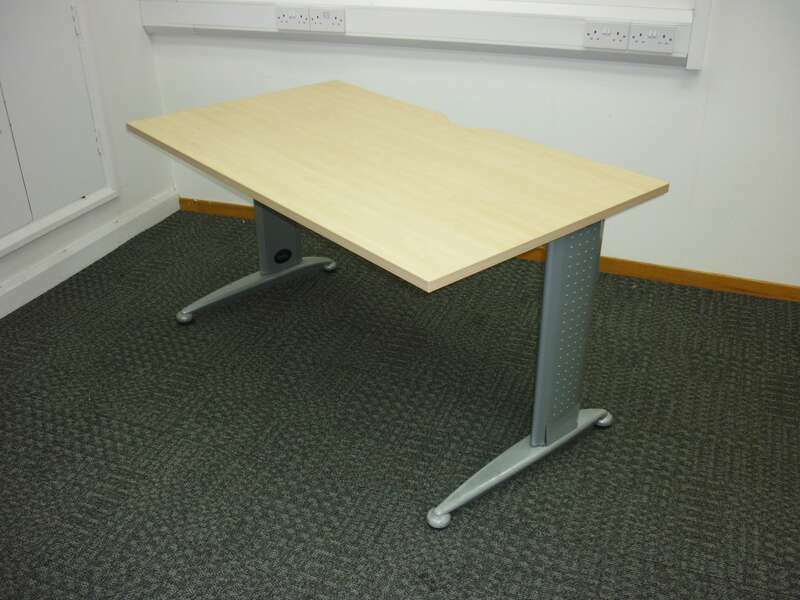 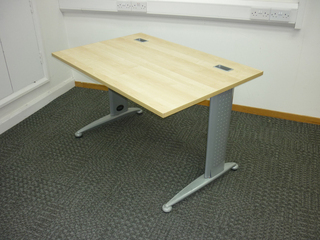 We have desk frames which can be fitted to NEW tops of your choice. Colours available include white, maple, oak, walnut. Can be from 1200x800mm up to 1800x800mm. 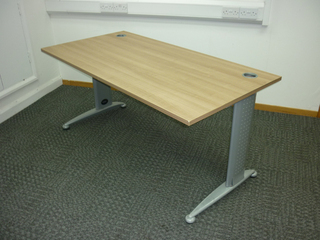 All tops come with either a cable cut out of scalloped back for cable access. Legs are made by Brev and come with integrated cable management. 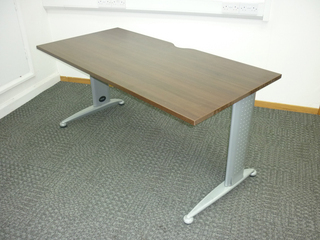 Good quality frames with a brand new top! 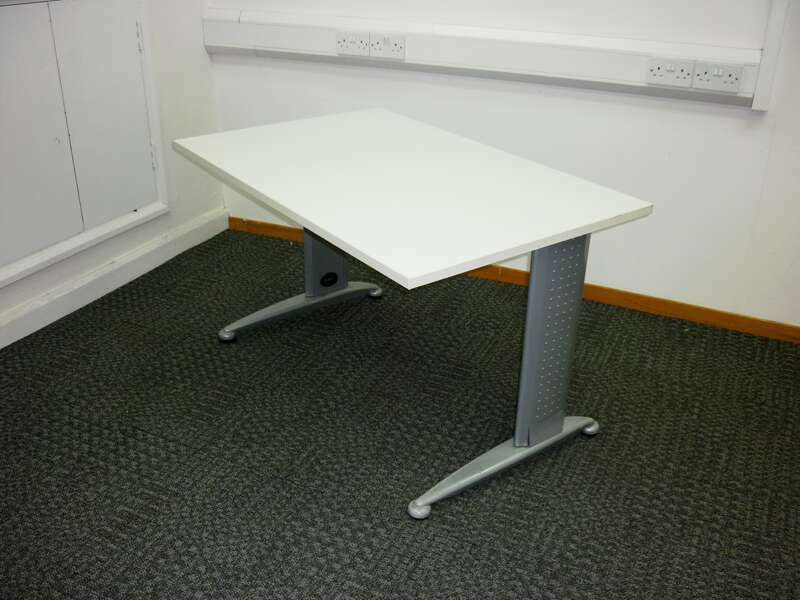 Silver metal pedestals available for £35+VAT each.